Whether you're the bride, the bridesmaid, the mother of the bride or a guest at a wedding, make a statement with our divine selection of wedding jewels. 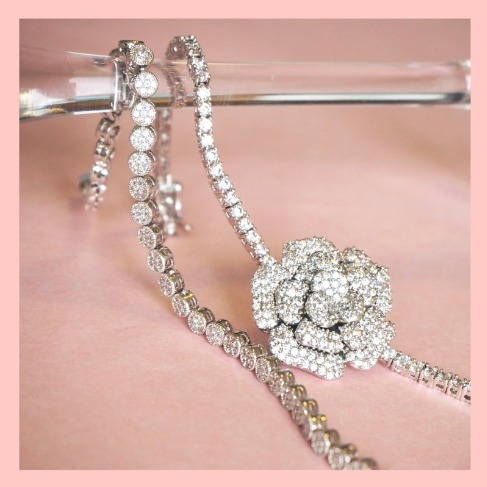 From drop earrings to bracelets we'll make sure you stand out on your wedding day with this amazing selection of bridal jewellery. THE LOWDOWN ON HONEYMOON IN MADRID: WHAT TO BUY IN MADRID Leather goods, clothes, and food! WHAT TO EAT IN MADRID It will come as no surprise that Tapas is the main thoroughfare in Madrid. Although they do have a unique speciality in the bocadillo de calamares [ a calamari sandwich]. Do it like the locals do at stand up only tapas joints, eat the one thing everyone else is eating and then move on. Hint: if there are pictures of the food on the menu its not a traditional place! WHAT TO SEE IN MADRID The Botanic Gardens and Retiro park are a must for a outdoorsy among you. Retiro park has a man made lake where honeymooners can rent a little row boat, how freaking romantic! 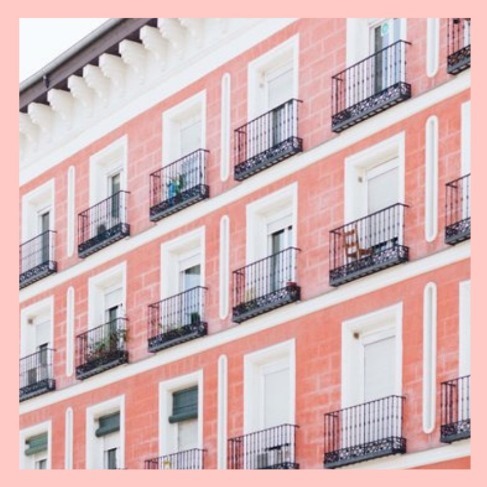 For me there is nothing worse than a travel guide that says 'get lost' on the winding streets of Madrid, (like every single Venice blog post out there!) but what I will say is that wandering up and down the lanes of Old Madrid is pretty fab, and stumbling on some new tapas places, or admiring the mixed architecture (Flemish, Dutch, Spanish and French to name a few) is pretty nice. WHAT TO DO IN MADRID Oh of course no visit to Madrid would be complete without stopping at the Prado Museum or the Royal Palace. Hint: book tickets in advance to avoid the queues. WHAT TO DRINK IN MADRID Vermouth! Also known as Martini is the drink of choice for many Madrians. If that's not your bag, relax with your new husband a cheers to married life with a glass of Tinto de Veranno (like Sangria) and of-course the odd splash of Spanish red wine. 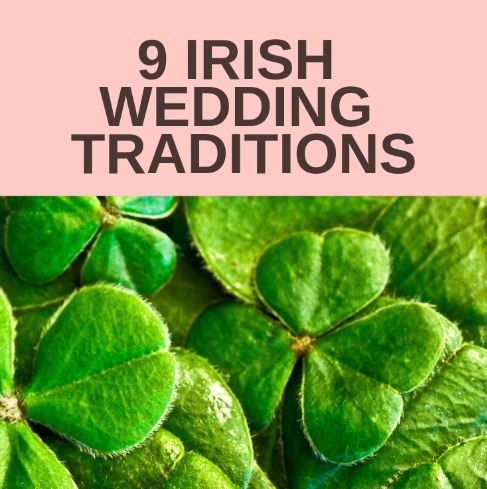 ENSURE YOUR WEDDING DAY HAS PLENTY OF IRISH CHARM BY INCLUDING SOME IRISH WEDDING TRADITIONS THAT HAVE BEEN AROUND FOR CENTURIES. 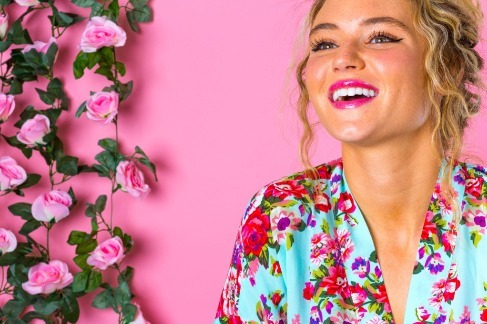 THERE ARE LOTS OF WAYS TO CELEBRATE YOUR NATIONALITY OR YOUR HERITAGE DURING YOUR WEDDING CEREMONY OR IN THE CELEBRATIONS AROUND THE BIG DAY WITHOUT ANY SIGNS OF LEPRECHUANS OR POTS OF GOLD! If your wedding is just around the corner you’ve probably been refreshing the 10-day forecast every other hour. 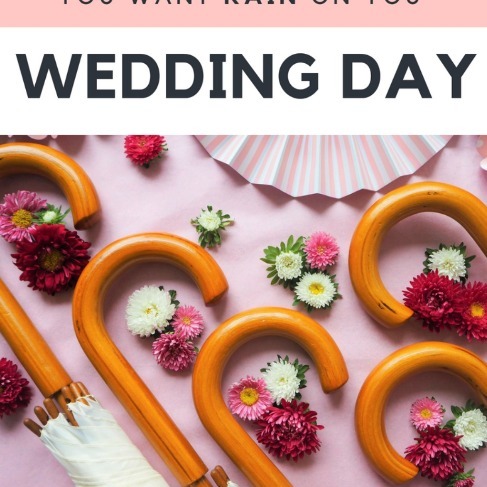 But ….There's an artistic opportunity to take advantage of with rain on your wedding day and we are going to show you how! 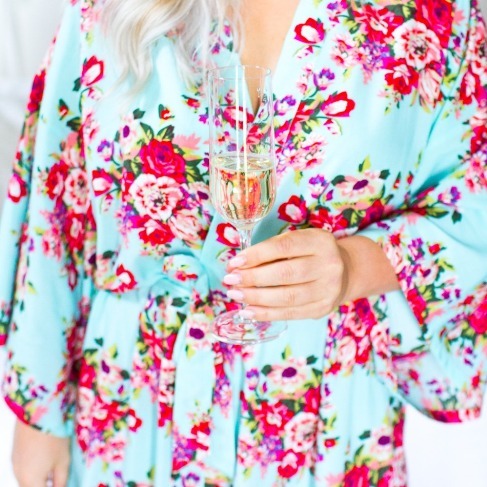 Bridesmaid Robes are a very pretty little addition to the morning of your wedding for you & your Bridal Party. 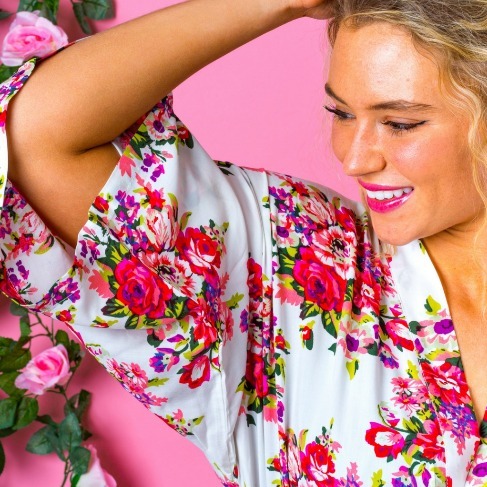 Photographers are now with the bride from early morning capturing all those girly moments and giggles of getting ready, so it's no surprise the ladies want to look their finest in all the snaps. 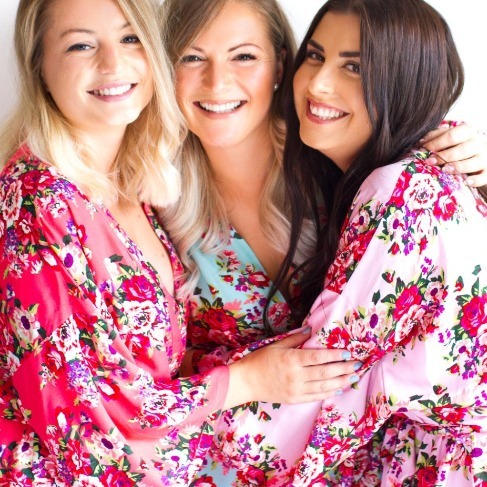 Our beautiful Bridesmaid floral kimonos are 100% cotton, lightweight and breathable, not to mention utterly stylish. 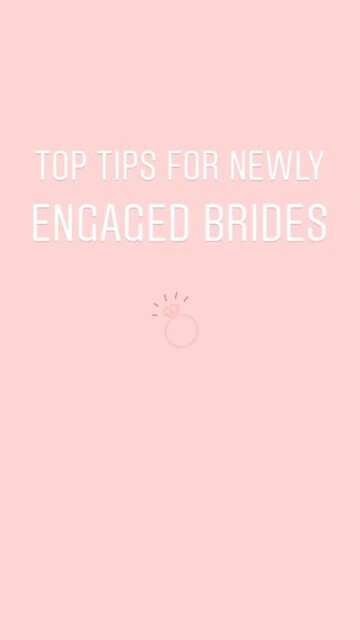 Perfect for your wedding day. Style yours with a pair of skinnies and heels for the day after the wedding or a leather skirt and kicks for a unique look on a night out. Say no to tacky, The Lovely Little Label is revolutionizing bridal fashion one step at a time! 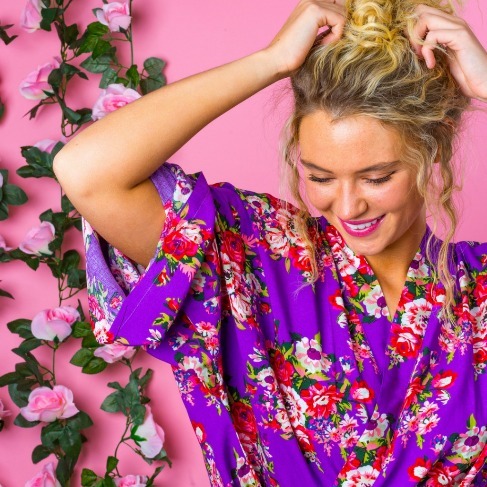 BRIDESMAID ROBES from The Lovely Little Label If you’ve been on Pinterest or Etsy any time in say the last year you are bound to have noticed that a little trend is emerging. And that is the introduction of bridal party robes. 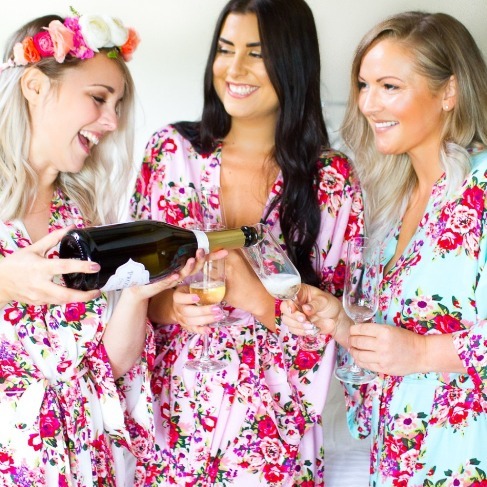 Wedding robes aren’t just a practical way of protecting clothes, hair and make-up when you and your bridal party are getting ready for the big day – they can look super cute in photos as well as being a great memento/thank you gift for your closest friends and family. 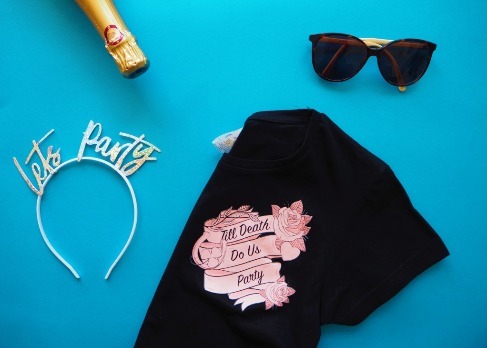 his is a bridal tee with a difference. 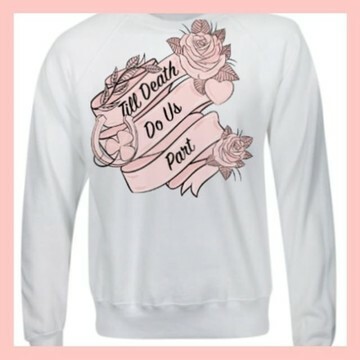 So much of wedding apparel can't be worn again so we wanted to design something unique and wearable for our brides to be. 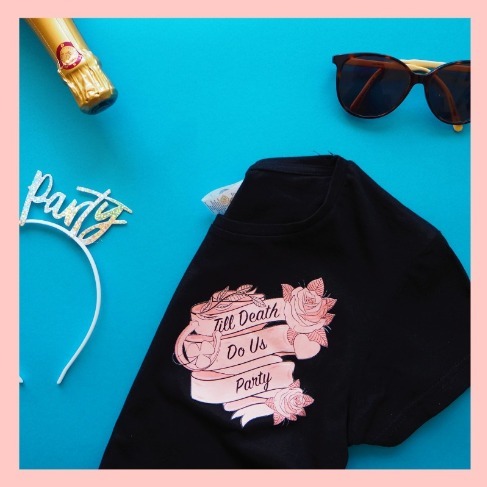 The 'Till Death Do Us Part' tee is perfect for the hen night, the day after or even a saturday night. Dress it up with a floaty skirt and kitten heels or down the converse and skinny jeans. Most importantly wear it again and again. This is a unique design to The Lovely Little Label, the t-shirts were lovingly hand designed and screen printed in Ireland on cotton. The elements of the design include a heart for love, a horse shoe for good luck, an olive branch for friendship and a shamrock for some Irish lucky charm. 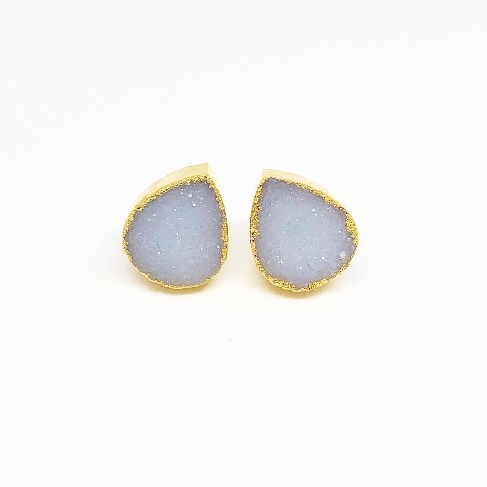 New for 2019 at The Lovely Little Label these stunning agate druzy stud earrings, set in brass with a gold plating are perfect as a unique chic bridesmaid gift. These sparkling teardrop druzy gemstones range come in white with inflections ranging from periwinkle blue-grey to baby blue-grey depending on the light. The are finished with a raw edge for a modern take on a classic earring. A great alternative to pearls for bridesmaids earrings. Each one measures approx. 12mm and are set 3-4mm high. 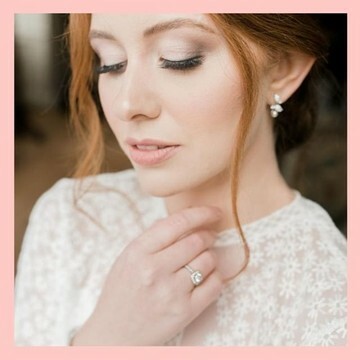 These earrings can be worn long after the big day and are perfect for brides looking to get unique bridesmaids gifts and accessories. A very pretty little addition to the morning of your wedding for you. 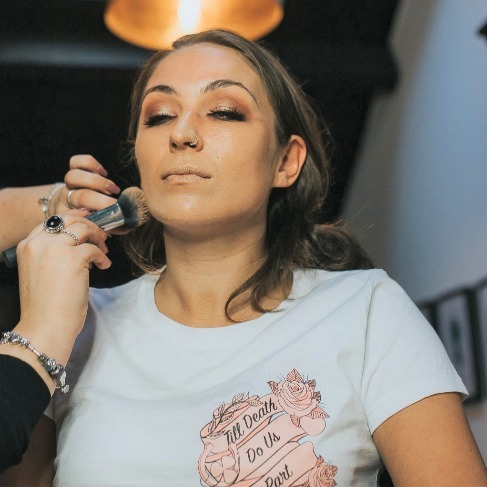 Photographers are now with the bride from early morning capturing all those girly moments and giggles of getting ready, so it's no surprise the ladies want to look their finest in all the snaps. 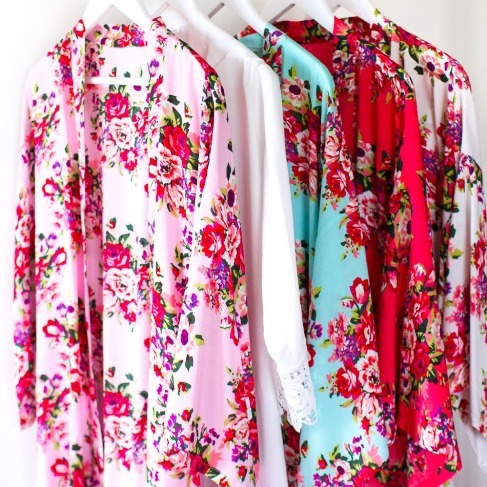 Our beautiful floral kimonos are 100% cotton, lightweight and breathable, not to mention utterly stylish. The one thing you can't control on your big day is the weather. 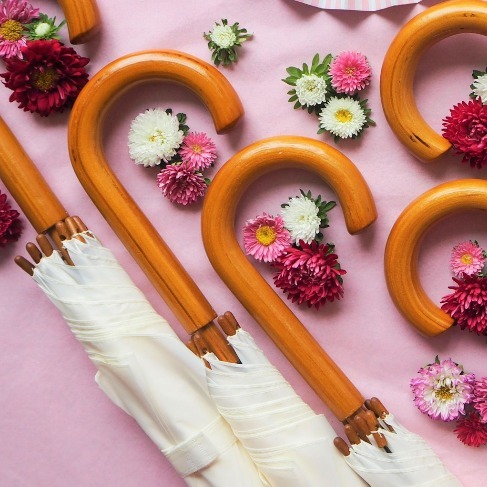 We've got you covered on your wedding day if the forecast doesn't go your way. 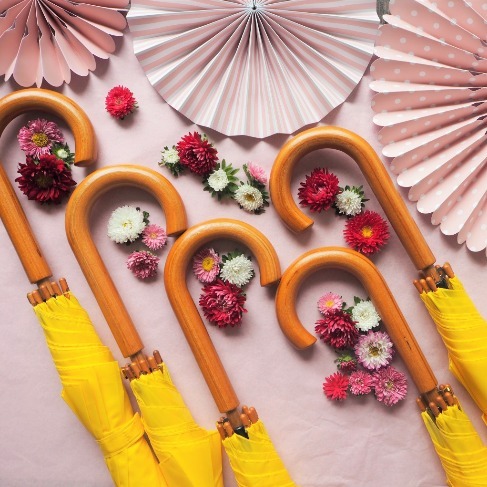 They look great in your wedding photos come rain or shine.